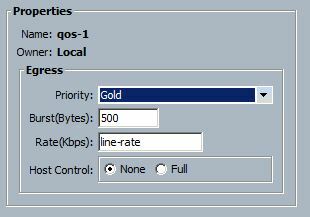 After completing Part 1, we have DHCP configured to assign a reserved IP address to the Cisco B200 M2 blades when they boot to the vNIC. Now the goal is to create the image that the auto-deploy hosts will use.. The image building procedure sounds complicated, but once you break it down, it’s not too bad. First, we need to inventory the components (VIBs) that’ll be needed on the hosts; above-and-beyond the base install. In our case, we needed the HA agent, the Cisco Nexus 1000V VEM and the EMC NAS Plugin for VAAI. The HA driver will be downloaded from the vCenter Server, but you’ll have to download the licensed ZIP files from Cisco and EMC for the others. In addition to the enhancements, we’ll need the VMware ESXi 5.0 offline bundle, “VMware-ESXi-5.0.0-469512-depot.zip” from the licensed product downloads area of VMware.com. This is essentially a “starter-kit” for image builder, it contains the default packages for ESXi 5.0. List the image profiles contained in the offline bundle, ESXi-5.0.0-469512-no-tools and ESXi-5.0.0-469512-standard. We’re going to work with “standard”. Create a new temporary rule with our image profile and an IP range; then add it to the active ruleset. At this point, we booted up the blade that would become the reference host. I knew that DHCP would give it the IP that we identified in the temporary deployment rule. BTW – Auto-deploy is not really fast, it takes 10 minutes or so from power-on to visible in vCenter. You may have noticed a warning about a component that is not auto-deploy ready; we have to fix that. In the following code, “referencehost.mydomain.com” is the FQDN of my reference host. This procedure will modify the ruleset to ignore the warning on the affected VIB. After this completes, reboot the reference host and add it to your Nexus 1000V DVS. Part 3 (coming soon!) will cover the host profile and final updates to the deployment rules. First, many thanks to Gabe and Duncan for their great Auto-Deploy guides that got me started. Found here and here. Their information answered a lot of questions, but left me with even more questions about how to implement it in my environment. My goal is to demonstrate how to implement and configure vSphere Auto-deploy in a near-production environment that uses vSphere 5, Cisco UCS, EMC storage, Nexus 1000V and vShield Edge. The first hurdle I ran into was trying to make DHCP cooperate. I’m using vShield Edge for DHCP in some of the protected networks, but the Cisco 2900-series router is doing DHCP for the network where the vSphere Management addresses live. In IOS for DHCP, you can assign a manual address in a pool via the “hardware-address” OR the “client-identifier” parameter. Looks like “client-identifier” is used by DHCP, whereas “hardware-address” is used by BOOTP. When booting, the blade first draws information via BOOTP, but after acquiring the details from TFTP, it changes its personality and sends another DHCP DISCOVER request. First, many thanks to Jeremy Waldrop and his walkthrough video. This provided me with a lot of help and answers to the questions I had. I’m so impressed with VN-Link that I’m kicking myself for not deploying it sooner. In my view, it easily is a better choice than the Nexus 1000V. Sure, it essentially uses the Nexus 1000V’s Virtual Ethernet Module, but since it doesn’t require the Supervisor Module (VSM) to run as a VM, you can use those processor cycles for other VMs. In a VN-Link DVS, the relationship between vSphere and UCSM is much more apparent. Because the switch “brains” are in the Fabric Interconnect and each VM gets assigned a dymanic vNIC, UCSM is aware of which VMs reside on which host and consume which vNIC. I especially like that I can add port groups to the VN-Link DVS without using the CLI. All of the virtual network configuration is performed via UCSM. This makes for quick and easy additions of VLANs, port profiles and port groups. This Cisco White Paper advocates Hypervisor Bypass, (which breaks vMotion, FT and snapshots by the way), but describes a 9 percent performance improvement by using VN-Link over a hypervisor-based switch. A 9 percent improvement that doesn’t break things is a big deal, if you ask me. You must have SNMP monitoring of the VSM. Beyond these cases, if you have the requisite components (Fabric Interconnects, M81KR VICs, vSphere Enterprise Plus), I’d suggest taking a strong look at VN-Link. The UCS deployment in the Mobile VCE is different from many deployments because it does not employ many of the redundant and fault-tolerant options and doesn’t run a production workload. So, I have the flexibility to bring it down at almost any time for as long a duration as needed. All this aside, it IS a complete Cisco UCS deployment with all the same behavior as if it were in production. This means, I can perform an upgrade or configuration change in this environment first and work through all the ramifications before performing the same action on a production environment. There’s a lot of excitement around the web about the new features in this upgrade and I’ve been looking forward to installing it. For me, I’m excited about the lengthy list of fixes, the ability to integrate the management of the C-series server with the UCS Manager, FC port-channels and user-labels. To start, I used the vSphere client to shut down the VMs I could and moved those I couldn’t to the C-series. Please note that I have not yet connected the C-series to the Fabric Interconnect for integration yet (that’s another post). Then I shutdown the blades themselves. For the actual upgrade, I simply followed the upgrade guide – there’s no reason to go through the details of that here. However, the experience was not exactly stress-free. Although it makes sense, when the IO Module is rebooted, the Fabric Interconnect loses connection to the Chassis. It cycled through a sequence of heart-stopping error messages before finally rediscovering the chassis and servers and stabilizing. During this phase, it’s best to not look – the error messages led me to believe the IOM had become incompatible with the Fabric Interconnect. Like I said, after a few minutes, the error messages all resolved and every component was successfully updated to 1.4.1. I’ll be connecting the C-series to the Fabric Interconnect soon and am looking forward to setting up the FC port channel. I noticed an alert on two UCS B250M2 hosts in the vSphere Client. The alert Name was “Status of other host hardware objects”. This isn’t helpful. To get more information, you have to navigate to the Hardware Status tab of the host properties. Here I saw more information about the alert. It’s cryptically named “System Board 0 SEL_FULLNESS”. This points to the System Event Log for the UCS blade itself. Luckily, this is easily cleared by using the UCS Manager to navigate to the management Logs tab of the Server properties under Equipment. Once there, you can back up and clear the SEL. Within a few minutes, the vSphere sensors will update and the alert will be gone.